Winter just wouldn't quit. Today we have cold rain and howling wind, and the temperature is below 50 again - those poor cherry blossoms and magnolias are having it rough this year! To think about it, this is a bit pricey for an eyeshadow trio since I had to buy a separate case, which also fits their cheek color refills. I went with the peachy pink/ivory signature case made of plastic, although I was awfully tempted by those illustrated paper ones. The eyeshadow refill fits neatly in the case. 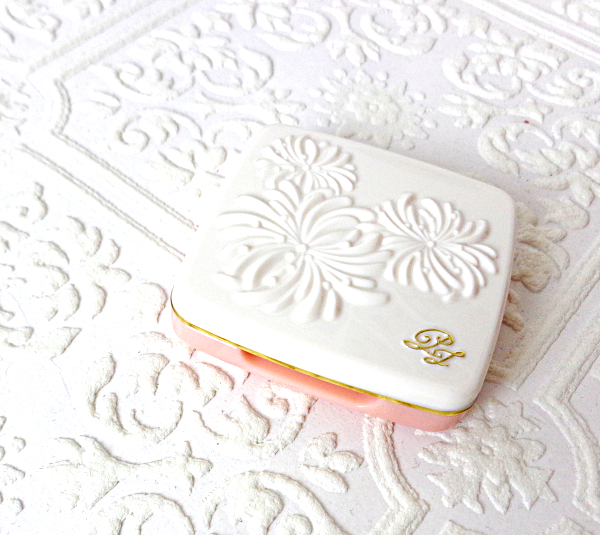 It is a petit yet sturdy compact that is perfect for carrying around, and of course, it looks pretty sitting on my vanity as well. It is a well-composed trio that looks youthful yet grounded. 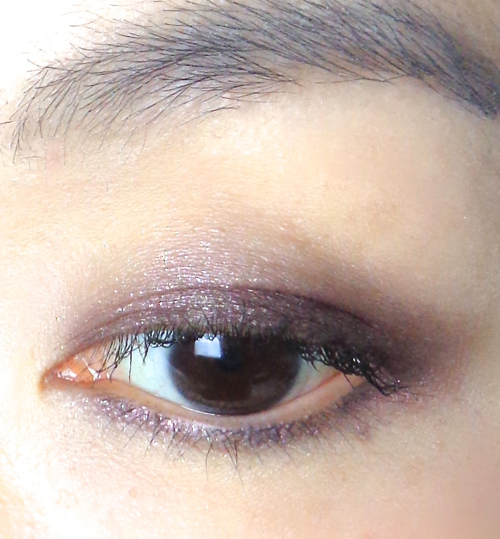 The deepest brown is leaning cool with a bit of purple undertone. The medium golden taupe/beige has a beautiful satin finish. You can easily achieve a sophisticated daily look using these two brown shades only, but the light pink shimmer is the scene changer if you will. I started with the darkest color on the creases to define and blended with the golden taupe (you know, the usual). The light pink was used to highlight and soften the whole look as well as on the lower lashlines. 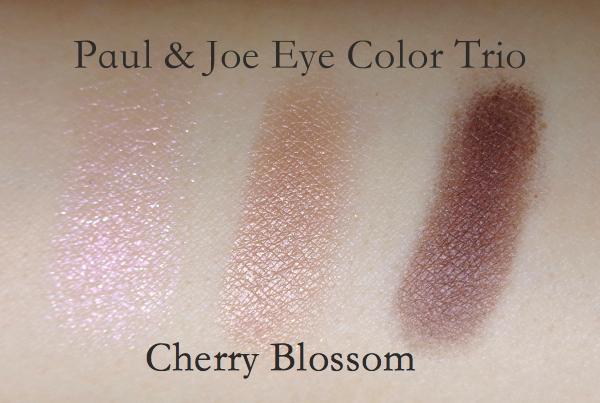 Paul & Joe Eye Trio Cherry Blossom is a special one since it is one of the few wearable pink/brown eye colors for me. To be honest, I am not a fan of bigger shimmer, but the one in this trio looks quite subtle and works well with other two shades. Most importantly, it stays put thanks to the base that is deliciously creamy. These eyeshadows are rich in pigments and apply evenly. I find the texture is quite ideal for being not too soft nor dry. They are scented with the signature white floral, so please consider this if you are sensitive to fragrance. 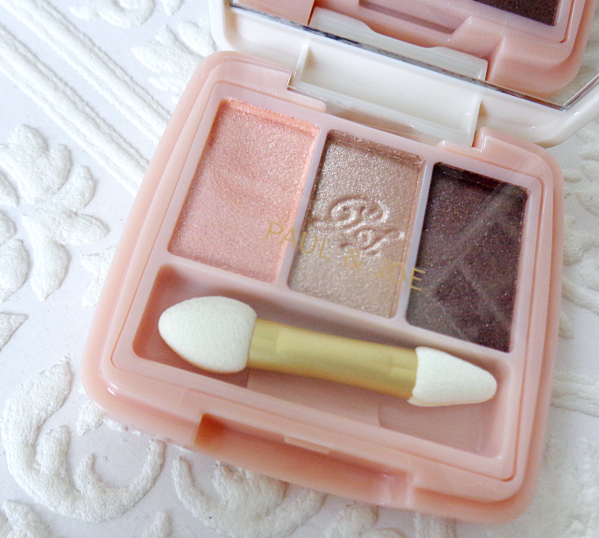 In a nutshell, Paul & Joe Cherry Blossom is a feminine yet not-too-girly eyeshadow trio with excellent quality. I personally like the pressed powder formulations from Paul & Joe very much, and this Eye Color Trio is not an exception. Oh very beautiful palette cute colors, beautiful FOTD! I agree with you. The dark brown is one of the prettiest I've seen. This trio is beautiful!!! Love the darkest brown there, it is really my cup of tea! ^^ And I love love the look you created with it! This trio is yet another shadow palette I've been eyeing on beauty bay and asos for the longest time! However I've put in an order for some japanese make up so no more make up this month! 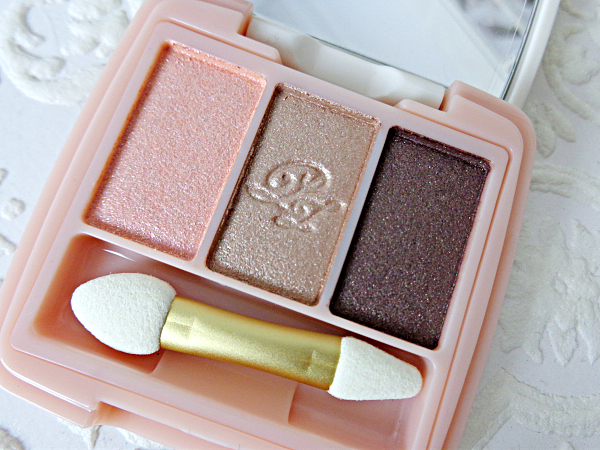 I absolutely love how you can put their blushes and shadow trios into the same compact! 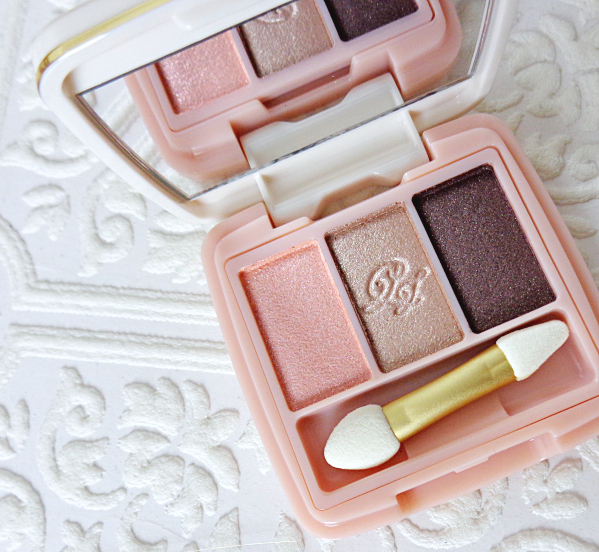 Their packaging is just so feminine and pretty and those shadows are so pigmented and pretty! Love how you've worn them! So beautiful on you! Thank you so much, Sharlynn! Their packaging is really something special even compared to other high-end brands. The quality is also excellent! frick that packagin! and the colors are so pretty! Paul & Joe packaging never ceases to amaze me and the colors are lovely as well. I've been really warming up to pink eye shadow lately. You look fab as always Lena! Simply beautiful palette and I really think it suits your looks. These are the types of colours I am so seduced by. Might have to get this palette! Thank you so much! I am slowly developing my likings towards warm neutrals. This is a good example, I guess. I can see this trio would look beautiful on you! This is SO pretty! I love it! It looks amazing on you! I've never tried their shadows. Actually, the only think I've tried is their foundation and it's nice and moisturizing! Perhaps it's time to try something else! Thank you, Tracy! 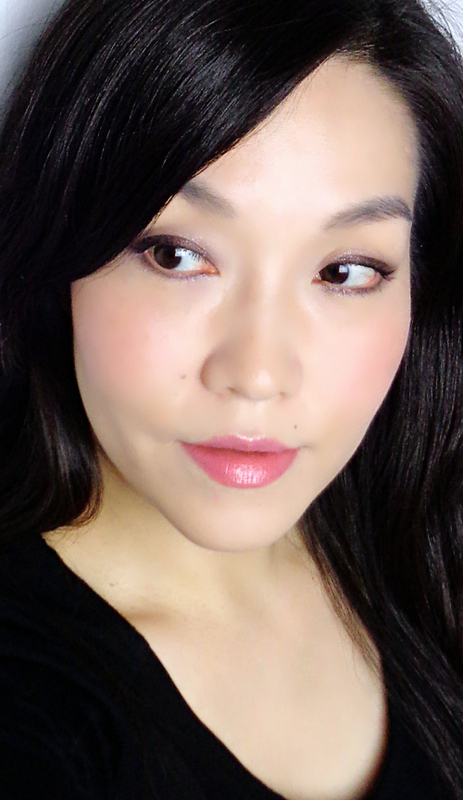 I love their powder foundation as well as the cream-to-powder formulation. They are indeed very moisturizing and natural. bummer that you had to buy the case separately, but it's pretty! love the outcome of your look! I got over the Paul & Joe packaging some time ago (mostly because the brand is hard to find here), but once in a while, something will pull at me. You wear this well despite the non-spring spring weather! I think it's still winter up here, lol. Today's even worse. A storm status. Ugh. P&J ALWAYS has the cutest packaging! And I really adore the look you've created! Very pretty eye Makeup ! Love the lips color ! I am with you. Honestly, I should have more than a few palettes with similar colors. LOL.